An upgraded version of the foreigners-only Seoul tour pass is now available for travelers visiting the city, the Seoul Metropolitan Government said Wednesday. 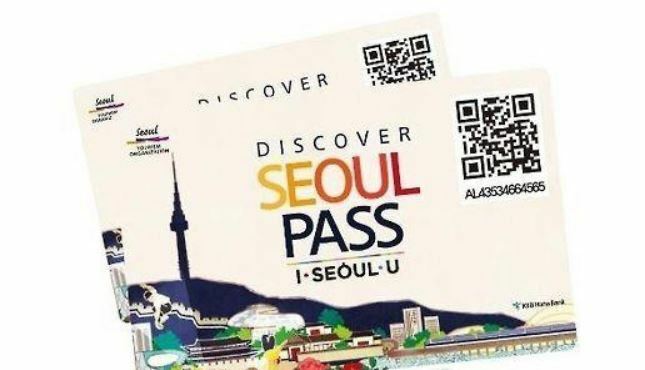 The Discover Seoul Pass comes with a variety of discount benefits or complimentary offers for key tourist hotspots that have newly been added, the city government said. New attractions that require no entry fees include the National Museum of Korea, Seoul Battleship Park, Namsangol Hanok Village, the 63 Square Observatory and its aquarium, and the COEX Aquarium. The tour pass also offers discounts for visits to the Lotte World theme park, the Lotte Tower observation deck and six downtown duty-free shops, as well as the medical facilities for foreigners in Chung-Ang University Hospital. Its mobile app version is also available for download via the Seoul Pass app.